This is a follow up to an earlier post on entrepreneurship for seniors. If you are seriously contemplating starting a business venture, or planning to invest in one, here are some business ideas you might want to look at. Of course, it goes without saying you have to do the market research, check out if there is a demand for your product or services, and find out what the competition is. And lots more. It pays to know what you are putting your money into. Seniors are very concerned about their health. As apps are easily downloaded and most seniors own smart phones, there is demand for good, reliable health apps that monitor our vital signs, e.g. 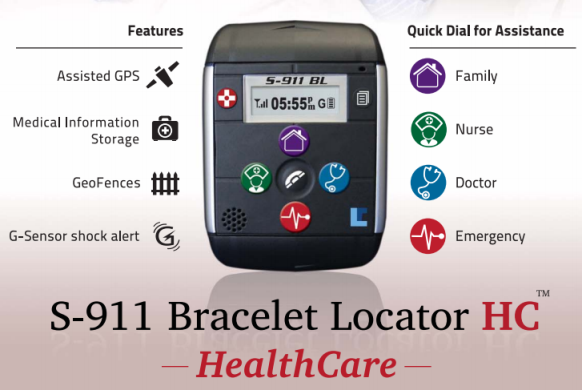 blood pressure and heart rate, and that offer safety warnings like fall alerts. There are already many in the market, but if you add useful features to your app, you can beat the competition. There are plenty of app developers who would be happy to build your app for you at a fee. But the idea and details will have to come from you. As a senior citizen, you have that extra edge of knowing from personal experience and insight what seniors need or want. 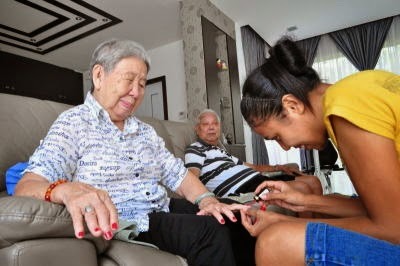 The elderly will welcome such services, especially if they live alone, and do not go out much. Home delivery services take the hassle of having to go out to shop, run errands, or see the doctor. Think home nursing care, food catering, grocery delivery, car wash, pet grooming, hairdressing, manicure, etc. There is a long list of home services that you can provide on your own, or you can start a small company and employ staff to deliver these services. Home delivery is not new, but catering to a niche market of the elderly is relatively new. There are retirement homes that outsource some of these services to individuals or companies. Think of the number of elderly residents that require, for example, personal grooming, massages, or physiotherapy. 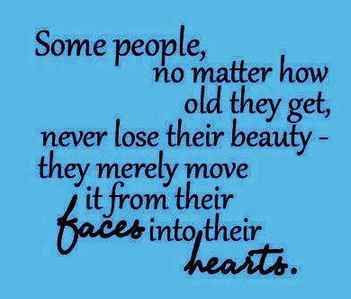 There are many lonely seniors out there - singles, widows/widowers and divorcees, who are looking to making new friends or finding a companion. 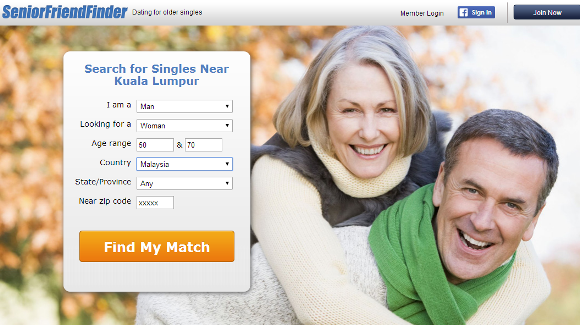 Social networking sites such as Senior FriendFinder are popular, but three factors deter more seniors from using these sites. 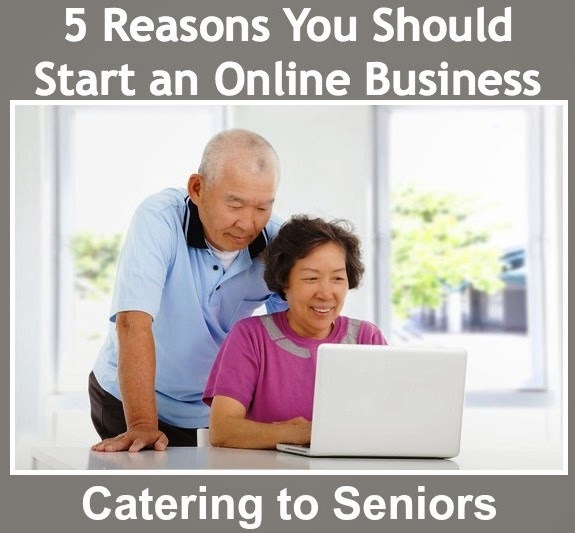 One - not all seniors are internet-savvy, two - they are not sure if the sites can be trusted with their personal particulars when they sign up, three - there is some hesitation in making friends with strangers. Trust has to be built up over time. 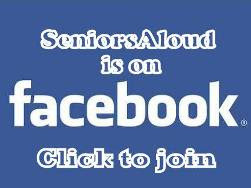 SeniorsAloud has been approached to organize social gatherings to enable seniors to meet up and make friends. If you are already operating a restaurant or coffee house, contact us. We may consider hosting our social luncheons at your premises. If you have the resources to start an online senior friendship or dating agency, and would like SeniorsAloud to collaborate with you, give us a call. 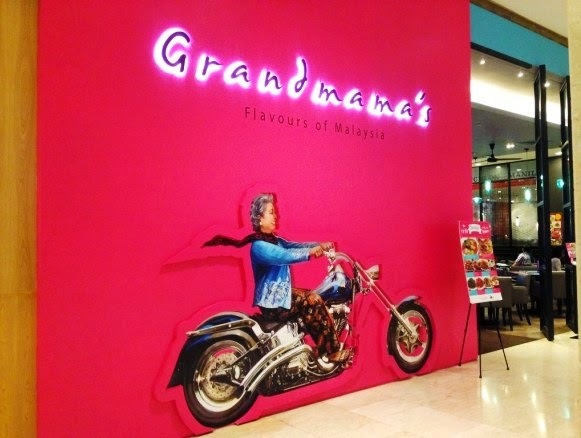 This 'Grandmama's' restaurant serves all patrons regardless of age. But the name does give us some marketing ideas. If you own a restaurant or a bistro, you can attract more patrons especially seniors who are quite fussy about what they eat and drink. Offer more healthy choices on your menu - low fat, less sugar, less salt, organic, preservatives-free, non-GM, etc. Food companies, including fast food and soft drinks companies are already doing that to stay relevant in an increasingly health-conscious market. To stand out from your competitors, make your restaurant elder-friendly in terms of design, furniture and facilities. Step into a healthcare supplies retail shop, and you will be surprised at how many assistive devices there are on the market. As the population ages, there will be a growing demand for medical and health devices that help the elderly with their activities of daily living (ADL). There are walking aids, hearing aids, customized beds, wheelchairs and many more. Think of what would help make life easier for older adults, that would be the business you may want to explore further and invest in. Bet many of you know the frustration of shopping for clothes, shoes or bags and not finding something that suits your size or taste. The retail world is still very much geared towards the sartorial tastes of the young, while the middle-aged and older adults will have to make do with limited selections of apparel. Off-the-rack clothes in department stores and fashion outlets are designed for svelte young bodies, and killer stilettos are meant for young feet. Left with limited choice, we patronize shops like FLOW that cater to older women and carry bigger sizes. 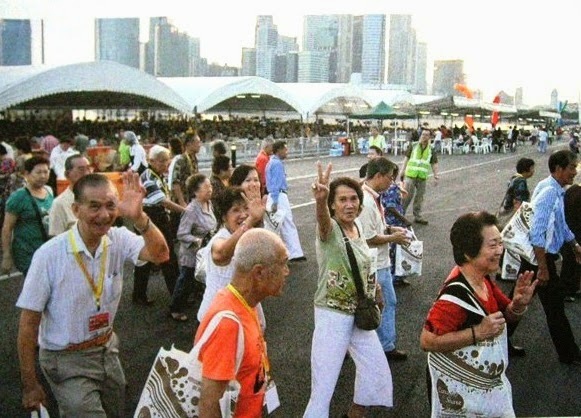 Travel agencies are smart enough to realize that seniors love to travel. 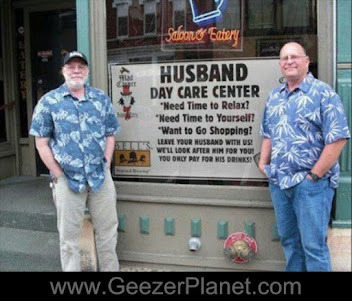 They have the time and the money to do so. Many travel agencies now offer tour packages that are specially designed for older travellers. Meals, accommodation and itinerary are planned to provide safety and comfort for senior travellers. If you are already managing a travel agency, this is one area you can expand to attract more customers. Build a reputation as the agency for seniors to go to when planning a vacation. 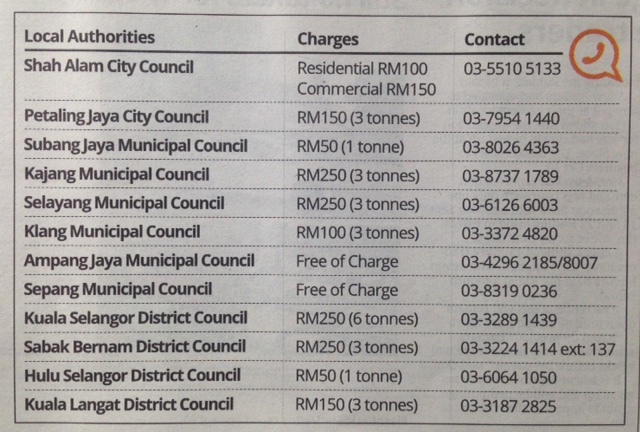 Another fast-growing area with the potential to generate good income for small business owners. Decide on what you want to sell, and do it from a customized van. It doesn't have to be food, although that is obviously the most viable option. Park in areas where human traffic is excellent like near office blocks or tourist attractions. Remember the Milo van at sports events during our school days? Today Milo vans are still around. They are joined by Starbucks vans and others offering fresh fruit juices. These vans are frequently seen in up-market office and residential areas. They are now so ubiquitous that The Star has done a cover feature on them. There is room for more mobile businesses if you have something better or different to offer. Think Blue Ocean strategy. 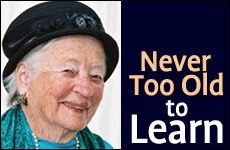 Many senior citizens missed out on a college education during their younger days. Now is the time for them to study and obtain the academic or professional qualifications they have always wanted. They can also choose to pick up new skills or learn new languages. Demand is high for schools or instructors that can teach seniors how to use the computer and social media. Seniors also enjoy learning for the sake of learning. They sign up for short courses in art and craft, music and baking. Gyms and dance schools attract seniors by offering special programs like Zumba for Seniors and Ballroom Dancing. Although there is no upper age limit for driving, most seniors give up driving when they reach their 70s. But they still need to go see the doctor, or do their grocery shopping. There are mobile clinics and grocery delivery services but their routes are restricted to certain areas. Just like the mini school buses that provide transport to and from school for children, we can also have a similar transport service for seniors living in a particular neighbourhood. These mini buses should be wheelchair-friendly and have lower steps for seniors to board and get off easily. If making money is not the main driving force, but the passion for doing good is, then social enterprise is for you. It is a for-profit business venture. The profits are used to cover administrative and operational costs and to reinvest into the business to sustain and grow it to do even more good for the community. You should be able to find a few that will appeal to you. Or you can come up with your own. This quote from Thomas Friedman should ignite the entrepreneurial spark in you. Without doubt the easiest and least capital intensive, and therefore the most popular business to set up for semi-retired or retired professionals is a consultancy. You can put your wealth of working experience and expertise to good use by providing consultancy services to companies or organizations that require such services. But know that competition is stiff and you have to really stand out to stay ahead of your competitors.